James Yap continues to show his vintage form to start the season. 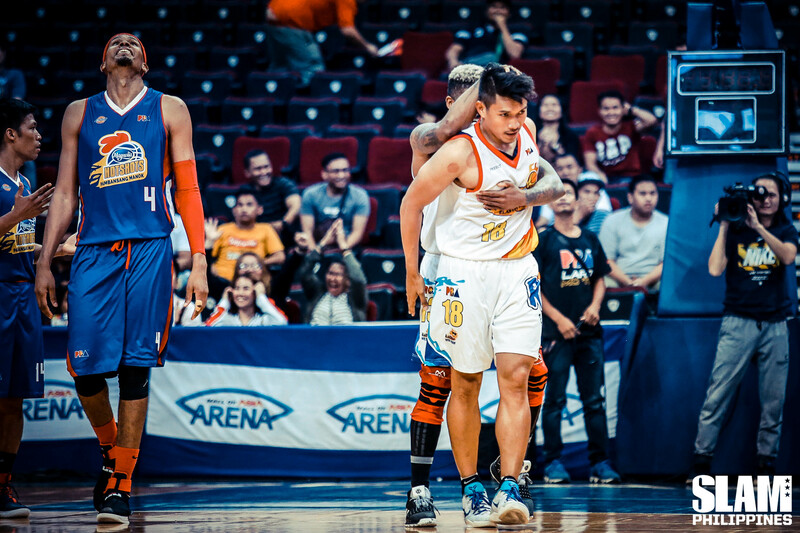 He nailed a game-winning one-handed jumper to lift the Rain or Shine Elasto Painters over the Magnolia Hotshots, 75-74. Yap got one over his former team and in the process kept Rain or Shine at the top of the standings with a 7-1 record. Magnolia is still winless in three games. With 18 seconds left and the game tied at 72, the Hotshots had a chance to finally get their first win of the season. They ran a play to get Paul Lee the ball. Lee was up against one of the best defenders in the league, Gabe Norwood. Lee made his move to the basket with 10 seconds left on the clock. He drove to the middle hoping to get to the paint. But Norwood was attached to Lee’s hip. Lee got to the free throw line, and tried to spin for s shot but Norwood wouldn’t let him loose. So, Lee used his off foot to get the inside step and some daylight against Norwood. 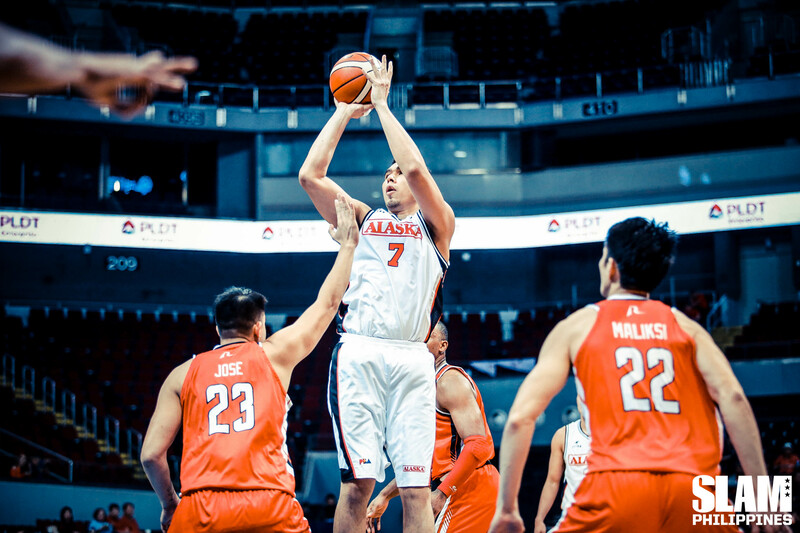 He launched an awkward jumper over Norwood and Beau Belga that splashed in giving Magnolia a two-point lead. Lee made one mistake though, he left 6.1 seconds on the clock. Enough time for the Elasto Painters to work with. It was clear from the inbounds play that Rain or Shine was going to go to Big Game James. Yap got momentarily free from Rome Dela Rosa and received the pass on the right wing. Three Hotshots immediately converged on him trying to stop the play. Yap quickly shifted his stance and made a move to get to the middle. Dela Rosa was left to recover after that quick move while Rafi Reavis and Mark Barroca were chasing from behind. Yap got to the free throw line and faked a shot getting Reavis in the air. He then used his off foot and just like Lee stepped to the side and rose up for a jumper. Dela Rosa clipped Yap’s off hand as Yap was rising up for the jumper. Big Game James, adjusted by removing that hand and launched a one-handed jumper instead. The shot fell through and Dela Rosa was called for a foul. With the game on the line, Yap calmly sank the bonus free throw to give Rain or Shine the lead and the win. Yap finished with 18 points to lead all players in scoring. Maverick Ahanmisi backed him up with 13 points and seven boards. Lee finished with 10 points, losing his clutch duel with Yap. Mark Barroca and Ian Sangalang scored 16 each to lead Magnolia. In the first game, it was Sonny Thoss and Chris Banchero that provided the heroics for the Alaska Aces. They downed the Blackwater Elite, 103-101, to win their second game of the season. Alaska rises to third place with a 2-1 standing. The Elite lose their sixth game in seven tries. Thoss finished with 16 points and five rebounds while Banchero had 11 points and 16 assists. Jeron Teng led the Aces with 18 points. Allein Maliksi had 25 for the Elite. The game was tight from buzzer to buzzer. Late in the game, Allein Maliksi and Roi Sumang nailed crucial treys to push the Elite to the lead. But Banchero wouldn’t let Alaska down. He found Carl Bryan Cruz on back-to-back fast breaks to keep Alaska in the game. Then with 1:30 left, Banchero swung the ball to a wide-open Cruz for the gam-ahead three-pointer, putting Alaska up by two. Maliksi answered the Banchero flurry with a jumper from the right wing to tie the game at 99. With the game on the line, Banchero decided to take matters into his own hands. He faked a pass and got some open space on the right wing to launch a jumper of his own, giving Alaska a two-point lead with 1:05 left. The Aces got a stop on the other end and Banchero then ran a pick-and-pop play with Thoss. Thoss stepped into a midrange dagger to put Alaska up by four. That was enough of a cushion to pull out the big win.